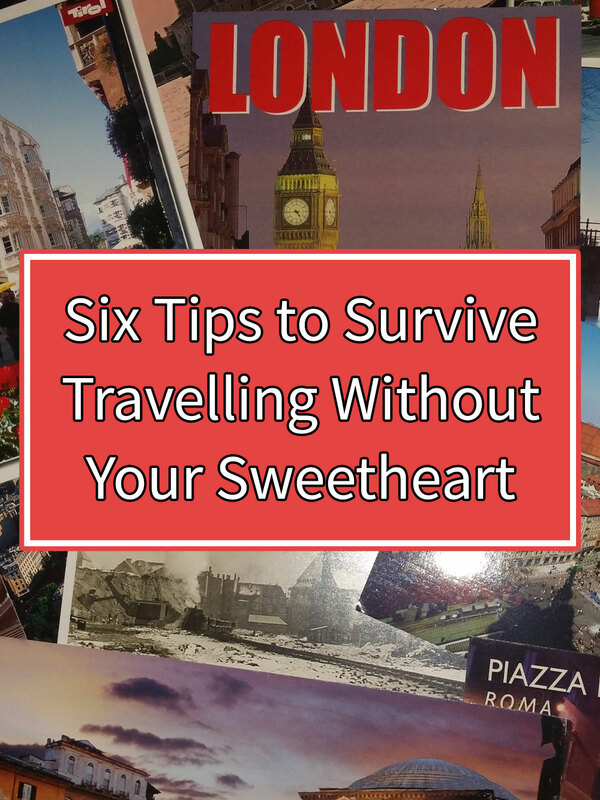 Six Tips to Survive Travelling Without Your Sweetheart February 15, 2016 · 12 min. readThis article may contain affiliate links. If you've been following my blog at all, you've probably noticed the little blurb I have at the bottom of each article reminding my girlfriend that I love her. I have been dating Jessica for over five incredible years now and I wouldn't have it any other way. She's a blessing to my life, and I miss her every day I'm not with her. However, me missing her now is nothing compared to how I feel when I'm travelling the world and she's back at home. She might think I'm having a wonderful time without her, but the opposite is true: she's all I think about when I travel, and I always wonder what she would say or think if we were experiencing places together. It is especially difficult to travel somewhere romantic without her, like New York's Central Park, the Eiffel Tower in Paris or Quebec City. I'm sure I'm not the only person who has this struggle, so I compiled a list of tips to survive travelling without your sweetheart. I'm no expert on love, but Jessica hasn't left me yet, so I must be doing something right! When I told Jessica I was writing this article, "Don't Go" was her number one solution. Our relationship has been speckled with me going on adventures without her, beginning only two months after we started dating, so I respect that she is never happy with me when I tell her I'm planning a new trip. However, I really enjoy seeing the world so "Don't Go" isn't a viable option. 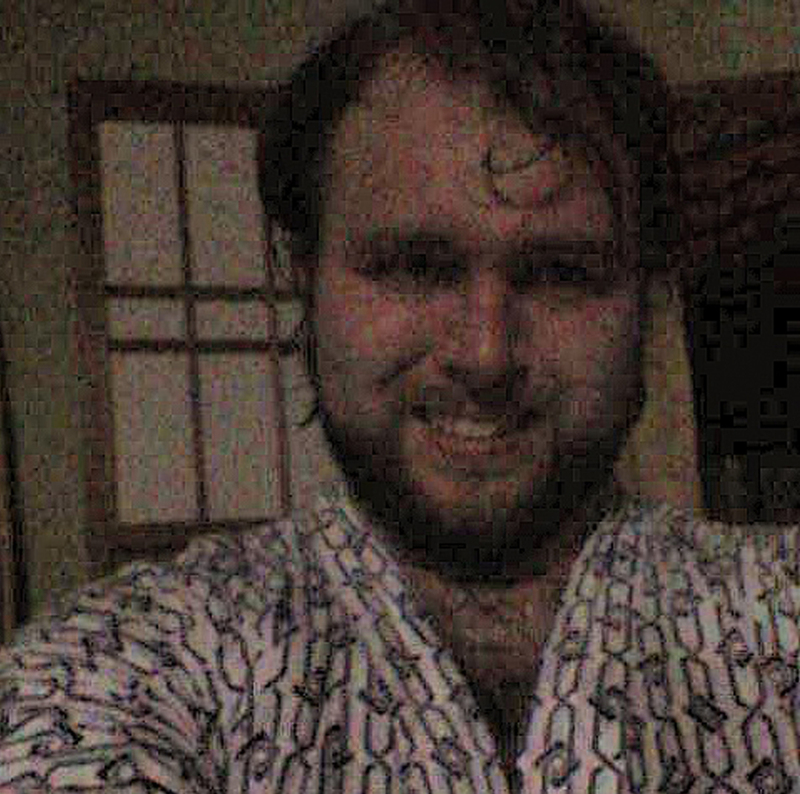 I tried this when I visited Japan, and it worked wonderfully (minus the 14 hour time difference)! Skype's calling rates are very reasonable and are only slightly higher if you want to call mobile phones. For example, I can call home to Canada anywhere in the world for $3 a month. This allows me to call my girlfriend, my parents and my sister multiple times while I was in Asia. I can call my girlfriend on her lunch break and hear about her day while I'm on zipping across Japan on a train or call and wish her good morning while I'm drinking wine on a gondola in Venice. It's a very cheap, very reasonable way to talk to your significant other while travelling the world. Some countries have different calling rates, such as India, but they are still very reasonable, ranging from 0.012 cents a minute to 0.008 cents a minute! Be sure to check out what the rates are for your country! Sometimes you don't have time to talk to your beloved, but you still want to let them know you're thinking about them. 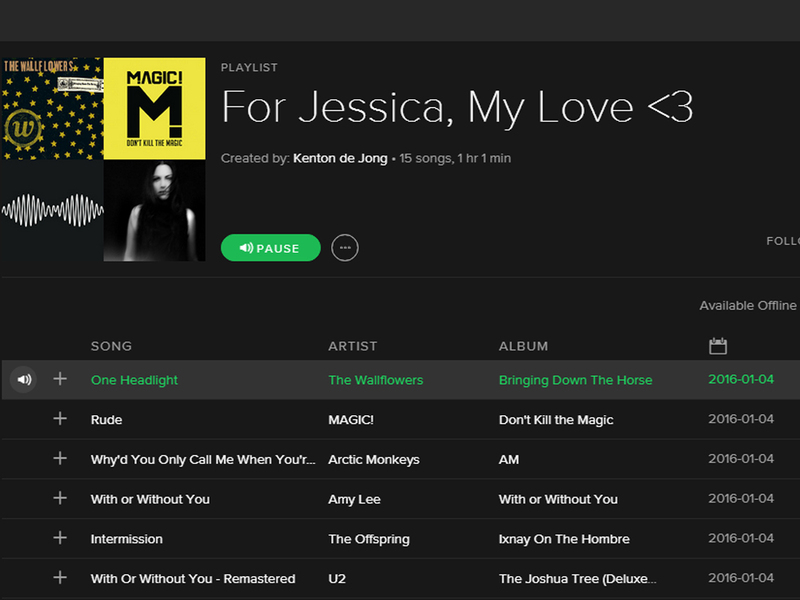 Spotify has this awesome feature where you can make custom playlists and share them with fellow listeners. 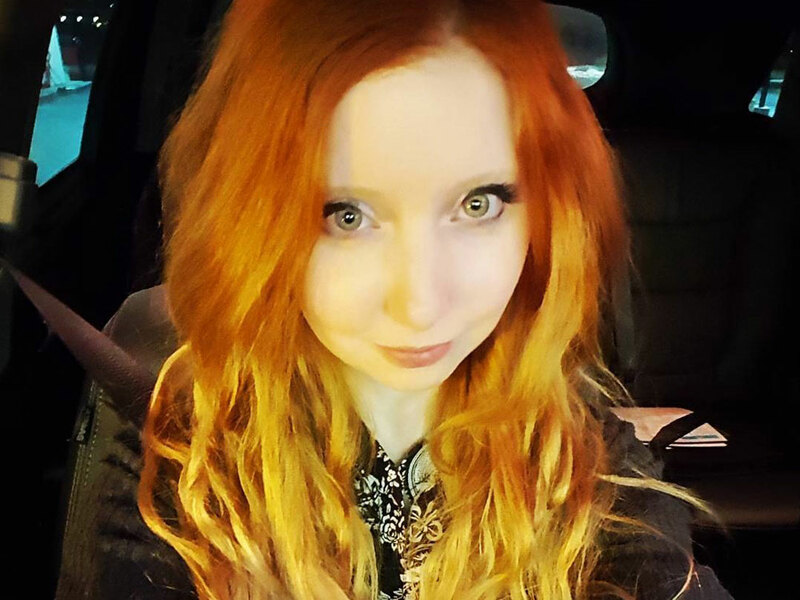 My girlfriend and I have made several playlists and sent them to each other, although apparently my playlists aren't very good. Nevertheless, listening to songs that the two of you have made memories with – or that you think the other would really enjoy – is a fun, easy and personal way to communicate with your beloved, even tens of thousands of kilometers apart. Another fun thing to do is to send them popular songs sung in the language of the country you're visiting. Travelling the world really helps see how different cultures mix, and since music is universal, this would be a perfect way to show it! Phone-calls and playlists are great, but sometimes something they can touch and hold is what's really needed. 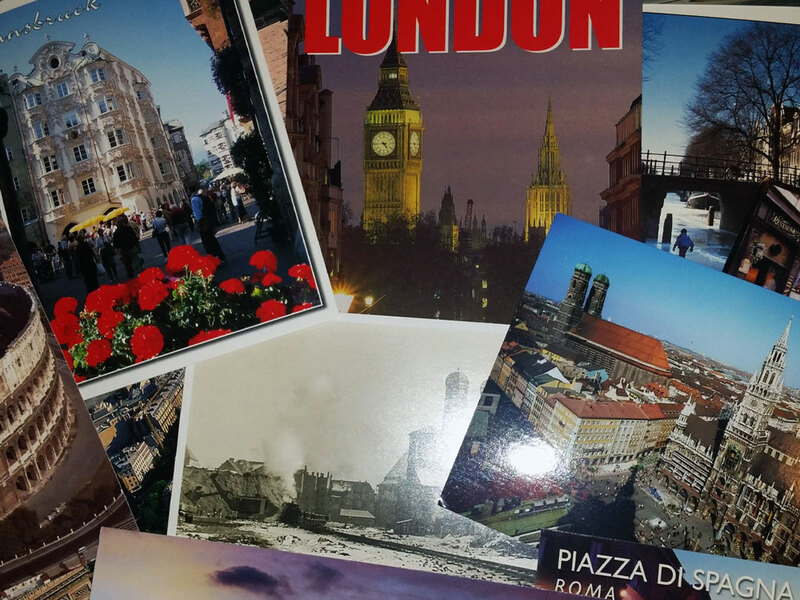 The art of sending letters is dying thanks to instant communication, but there's still something romantic about receiving letters sent from abroad. Your letters or postcards can say anything you want, such as what you did that day, how much you missed them or how much you can't wait to see them again. I did something like this once. In Grade Twelve one of my teachers had us make our bucket lists. One of the things I put on it was to one day visit the Vatican City. When I finally did visit it, two years later, I sent my teacher a postcard from it, telling her I had crossed one of the items off my list. When I ran into her years later back home she told me how much she appreciated getting it, and how happy she was to see that I remembered her assignment. We're really excited to see you in 2016! It would be an unforgettable way to announce your travel plans, just be sure to give yourself enough time for your letter to get to its destination, and for their letter to get back. The idea of a "love lock" is simple: two people hold the lock, confess their love to each other, close the lock on a chain or rail and throw the key into the river below. This is a very romantic, yet permanent expression of your love for another person. There's no reason why you and your significant other couldn't express your love with the lock before your trip, and then you add the lock to the bridge when you get there. The Pont des Arts is Paris is the most famous of these bridges and is frequented by thousands of tourists a year. Unfortunately, the weight from all these locks has begun to damage the bridge and the city has asked tourists not to place any more locks on it. 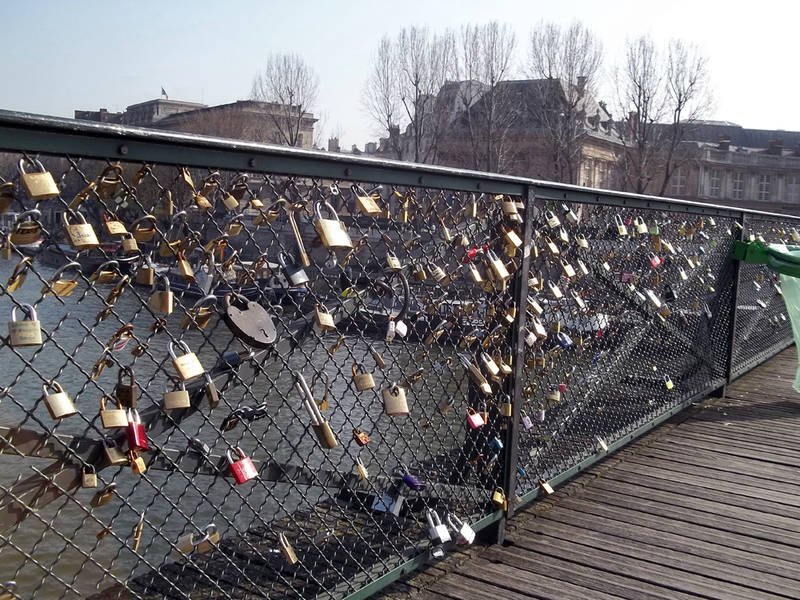 The Mayor of the City of Love began a campaign in 2014 asking people not to place locks on the bridge and instead take selfies with the #lovewithoutlocks hashtag, claiming "Our bridges can no longer withstand your gestures of love." There are many other bridges in the world where this same action is celebrated, with some in China, South Korea, Italy, Slovenia, Germany and even the United States! If you want to do this, but not damage public property, an alternative is to place a ribbon on the bridge instead. While ribbons aren't as permanent as locks, they can be much prettier and not nearly as heavy! Regardless of what you do and how you do it, be sure to take a picture and send it to your loved one letting them know your love for them is eternal. Prior to me leaving on my first trip to Europe, Jessica got me Teddy, a plush teddy bear for Valentine's Day. I took Teddy to Europe with me, and carried him everywhere. 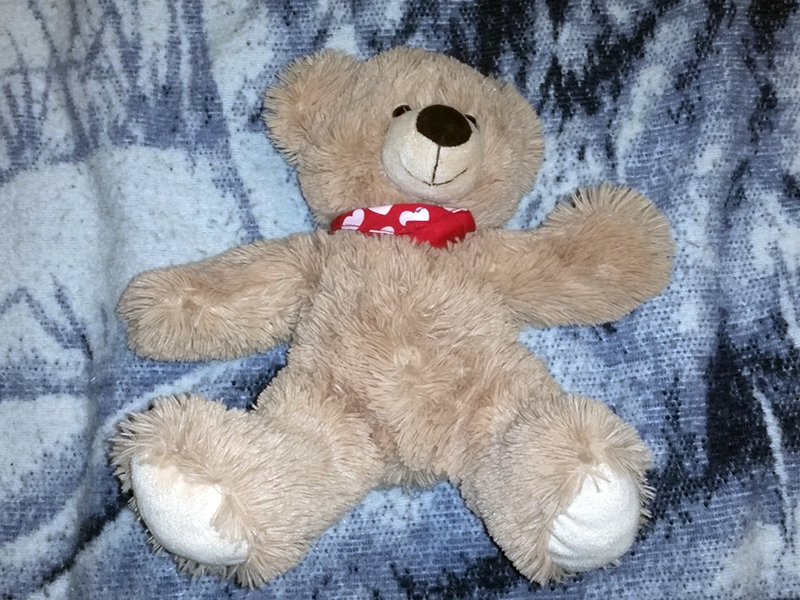 There were times I misplaced Teddy or forgot him and had to go back and get him, but for the most part he was my travel companion everywhere I went. As silly as this might sound, having Teddy with me was one of the best things I could have done. Not only did I miss Jessica like crazy during my trip to Europe, I was pretty terrified to travel around the world for the first time by myself. Having Teddy with me to talk to when things got rough really helped me out since it was like talking to my girlfriend, who has this incredible ability to make me feel better. Although it's been just over 5 years since I got Teddy as a gift, I still carry him with me on my travels. Of all the ways that made travelling without my sweetheart BEARable, travelling with Teddy was my favourite. Let me know in the comments below how you deal with travelling without your loved one!